I am an Estate Planning Attorney fortunate enough to be the Wife and Mother of a busy and wonderful family. Like most parents, our goals are to protect and provide for our family. However, it is said that “a goal without a plan is just a wish” -Antoine de Saint-Exupéry. So let’s make a plan! I would be honored to get to know you and your wishes and commemorate them in a way that will protect the future of your loved ones. My husband and I moved to Colorado less than a month after I graduated from Chicago Kent College of Law to settle in with our soon-to-be family. I found work with the Colorado Department of Human Services and dedicated my time to public service for 6 years. While I loved my time at the State, I struggled to find a life-work balance and ultimately decided to take some time to be with my children and reevaluate my career. As my kids and I explored Colorado together, I met so many people, just like my husband and I, who had young families but had put off creating an estate plan. We were all so busy traveling, learning to ride bikes, and heading to the mountains for a weekend of hiking, camping and skiing! When did we have time? That is when it became clear to me that this was my new path. Not only do I want to protect my own family, but I want to help educate other families about how important this planning is! I opened Bastani Law Firm, LLC with this focus in mind and love learning the stories of individuals and families who seek to create plans that reflect their intentions and protect their loved ones.​ I truly look forward to helping you create a custom plan that will give you peace of mind as you take on life’s adventures with your family. The information contained on this website is deemed reliable, but not guaranteed.  Nothing in this website shall be deemed legal advice and your use of this site or contact of Bastani Law Firm, LLC does not create an attorney-client relationship. By using this website you agree to the terms and conditions set forth in the Disclaimer. READ DISCLAIMER BY CLICKING ON LINK.